It’s not easy being a rookie QB, it’s not easy playing on the road… But it is easy to throw completions against the Tampa Bay Buccaneers. Opposition Quarterbacks vs the Bucs’ Defense are currently more successful at passing the ball than Drew Brees’ all-time record for pass completion rate. Mayfield has good weapons, and is growing more and more each week. 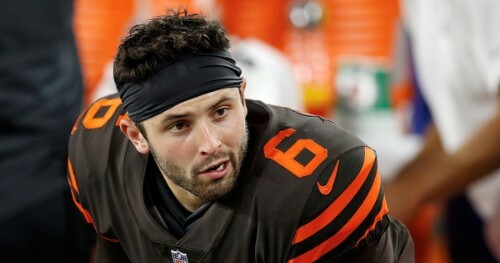 I think Mayfield is going to have success this week, and as you’ll see shortly, I think one or two of his weapons could have a good day, it’ll feel especially good when you’ve only paid $5,800. 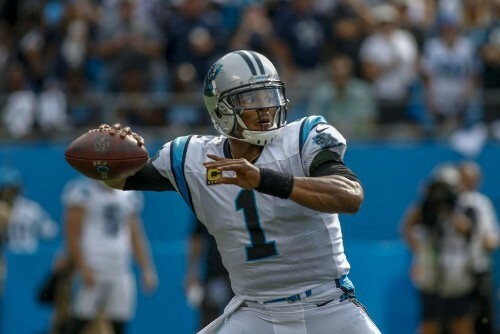 There isn’t a lot I need to say about Cam. When you can get him for only $5,900 you have to at least consider it. He’s in the price range of Mayfield, and Stafford etc but that’s only because the Eagles D is good. I won’t disagree that the Eagles are good, but Cam has the reliable floor of his rushing combined with the passing yards to McCaffrey and co on the shorter dump off passes. It won’t be a huge week but this is a safe play. This week is the week. It’s week seven, and I am finally – for the first time, but not last, I’m sure – firing up Kerryon Johnson. 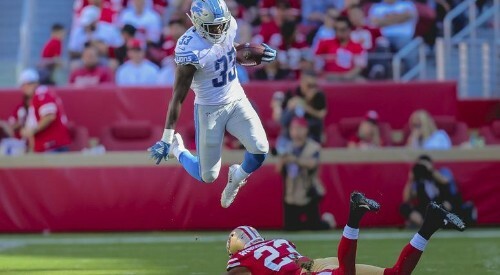 This week everything is aligning itself for the rookie to dominate, with his Lions facing up against Miami – but most importantly, with Theo Riddick out and the youngster back to full health off the bye week, and ready to take over this team. If you’ve watched him, you’ll know he can make plays, and I can’t wait to see him with the reins taken off a bit (Riddick absence). At only $4,500 he is an incredible value this week. Last week I mentioned Latavius Murray even when Cook was due to potentially play, and the backup came out and destroyed Arizona. This week he’s traveling away to the Jets and Dalvin Cook has already been confirmed to be out, so for $5,000 you can hop on Murray’s back again, and hope for a repeat performance. Even if he doesn’t get over 25 again he should be very cost effective. 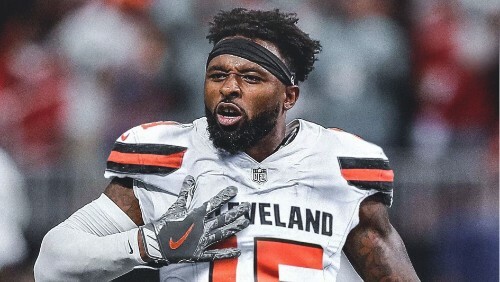 Carlos Hyde has been traded to the Jacksonville Jaguars, (literally during the time I am writing this article) and so there has been an instantaneous shift in value in the Browns backfield. Take a second out of your day now to go and check all of your leagues for Chubb and Johnson Jr. – if they’re available, pick them up. 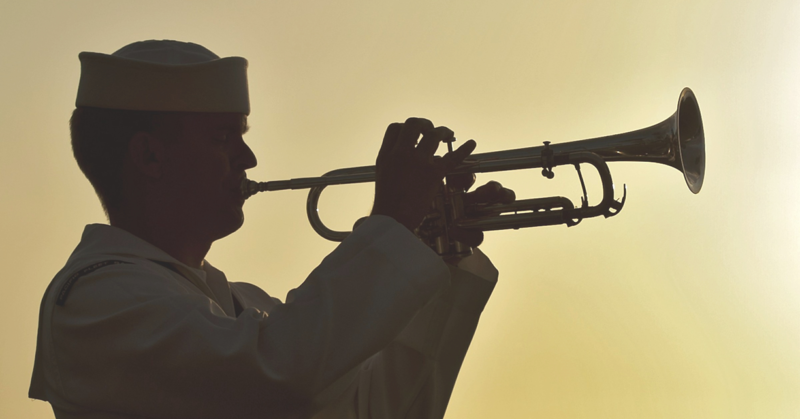 Back to the DFS; this weekend it’s not going to be easy to predict exactly how their usage will balance itself but they should both be serviceable this week. 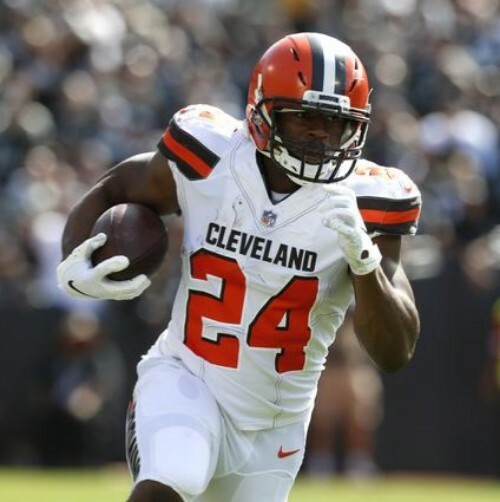 Chubb is cheaper at $3,600, so he could easily provide extreme value if he does explode, but at the same time – DraftKings is a PPR format, so I really like Duke Johnson all of a sudden, and he already had upside on a week-to-week basis but now that Hyde is out of the way there is only two mouths to feed and I think both of these guys are going to be a great, cost-effective, pick this week. Absolutely Incredible Talent, Seven in a Row? 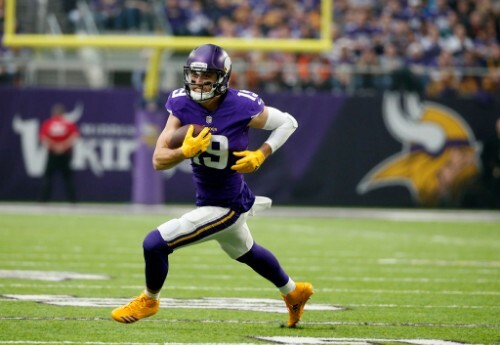 If I told you six weeks ago that you’d have had to pay $8,600 for Adam Thielen at any point this season, you’d have probably laughed in my face, but that’s what you’re going to have to cough up this weekend, and he might just be worth it. If you’re paying this Antonio Brown level cost, you’re going to need a very high floor, and that is exactly what the Vikings wideout is providing; a practically unprecedented floor – he really is at that AB level right now. This week he will be attempting to have his seventh 100+ yard game, and trust me, I could see him getting near enough to 200 against this Jets defense… They can’t defend the slot receiver, and Minnesota have a real strong argument that theirs is the best in the league. I already told you that I liked the Browns chances this week, so I’ll save the repetition, but I really like Jarvis this week. The certainty of getting some receptions against the weak defense combines with his surprising aDOT (average depth of target), especially with Baker under centre. This week should be fun for ‘Juice’, and although he’s expensive – at $7,300, the floor is there, and he could definitely score a Touchdown too for an instant boost. 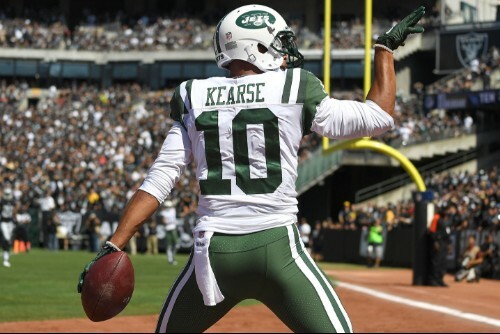 Last time out, Kearse had a great game, and it was not a coincidence that this was whilst the team’s number-one target Enunwa was absent. 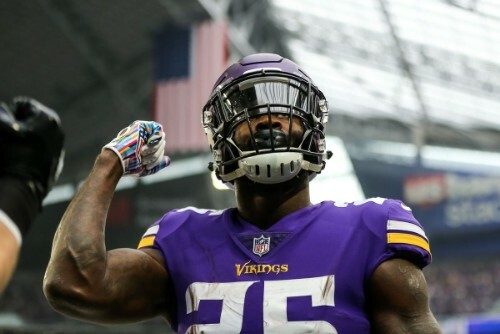 This week the Jets face the Vikings, which might seem scary to the average fantasy fan, but the Vikings offense is going to be putting up points, so Sam Darnold is going to have to let it rip, and Kearse will be expecting plenty of targets. I could see Kearse having 10-15 points in this game with less than 50 yards. This might be the most Browns players I’ll ever recommend in one week, or will ever recommend again, and I should say: DON’T START ALL OF THEM. The simple fact is that the match up is good, and you just need to decide who you want to buy. Njoku is a great option at TE this week, and he only costs $4,200 which means he’s affordable enough to grab, especially if you can’t afford the likes of Landry. 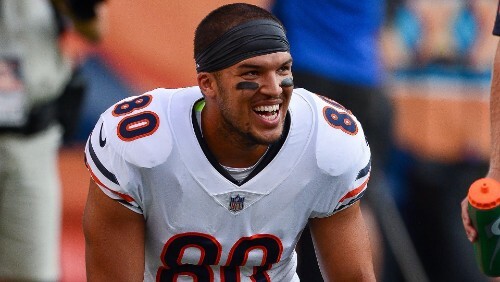 I’ve been high on Trey Burton all year, but this week is an interesting one. When you’re up against Tommy B and the Pats, you need to be expecting a big score on that side of the scoreboard, but the Bears are a great team, and it’s not easy to go away to Chicago. Bill Belichick usually picks a star receiver and puts a stop to them, which would almost certainly be Allen Robinson, and so Burton should definitely be able to put the pressure on those slow linebackers and make some plays. At $4,300 he could be a great option, for example, if you have too many Browns players so you don’t want Njoku. I hope this hasn’t become too repetitive for anyone who’s been reading my articles weekly (thank you if you have – I hope you’re making profit too), but I will once again recommend going against the Bills with your defensive pick. 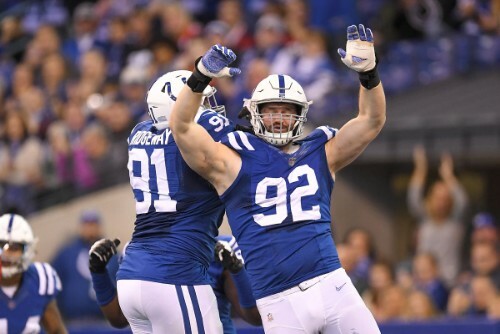 The Colts defense isn’t even very good, and admittedly they cost $3,300 which is the most they will all year, but they’re against Derek Anderson – who approximately 1% of the people who read this article will have ever heard of – at Quarterback. If you’re on the same roster as Josh Allen and Nathan Peterman but you require injury(ies) to get playing time, you probably aren’t a household name; and more importantly, you probably are getting targeted by me in fantasy.